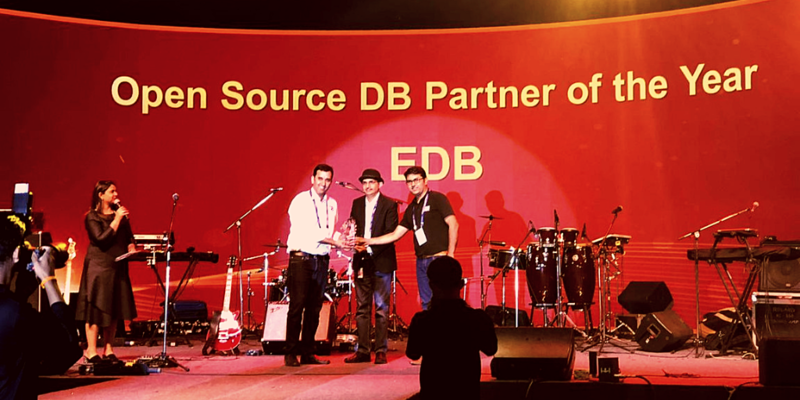 Infosys Finacle, a part of Infosys’ product subsidiary EdgeVerve Systems, today named EnterpriseDB their “Open Source DB Partner of the Year”. This recognition was received at Parter Meet 2019, the Infosys Finacle annual partner event, held in the city of Mysore in India's southwestern Karnataka state. The Finacle Core Banking Solution is a suite of integrated banking solutions used by banks across the globe and serving over hundreds of millions of customers. Infosys Finacle partnered with EDB to migrate the Finacle solution onto an open stack and provide its customers with an enterprise-class open source database alternative. EDB is a leading global provider of enterprise Postgres with a tested and proven database, offering enterprise capabilities necessary to manage multi-model data, connect with existing systems, and deploy rapidly across multiple environments. Multiple Finacle modules have been migrated to EDB Postgres and implemented at financial institutions in Asia. This award was accepted on behalf of EDB by Ashish Mehra, Country Head-Sales, India, and Alok Mishra, Solutions Architect. Please join us in recognizing all on the EDB team who contributed to make this success possible. Congratulations team!